Reshma Ramachandran, MD, MPP is a Family Medicine resident at Kaiser Permanente Los Angeles Medical Center and Associate of the IDEA (Innovation+Design Enabling Access) Initiative in the Department of International Health at Johns Hopkins Bloomberg School of Public Health. Prior to this role, Reshma worked as an Assistant Scientist as part of the IDEA Initiative at Johns Hopkins, where she focused on antimicrobial resistance and access to medicines including state drug pricing proposals. She and her colleagues supported efforts in Maryland to curb high drug prices by helping draft legislation, providing background materials, and offering testimony at the Maryland General Assembly. 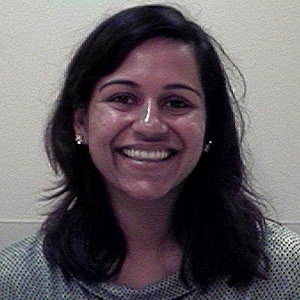 She also helped edit the recent White Paper co-authored by the Yale Global Health Justice Project and Universal Healthcare Foundation of Connecticut entitled, “Curbing Unfair Drug Prices: A Primer for States.” Reshma trained in both medicine at the Alpert Medical School at Brown University and in public policy at the Harvard Kennedy School of Government. Previously, she served as the first PharmFree Fellow with the American Medical Student Association focused on removing the undue influence of pharmaceutical companies on both prescribing and medical education from academic medical centers. She also currently serves as a board member of Universities Allied for Essential Medicines (UAEM) North America.